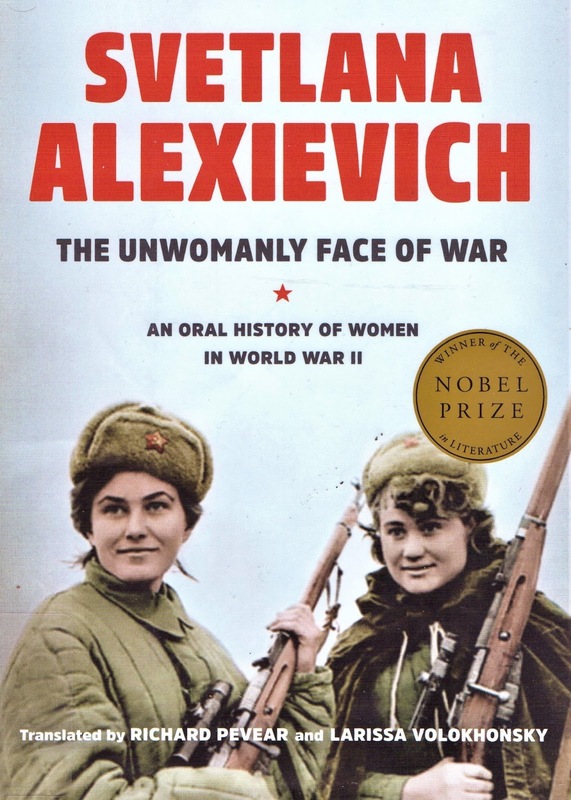 Svetlana Alexievich, The Unwomanly Face of War: An Oral History of Women in World War II. 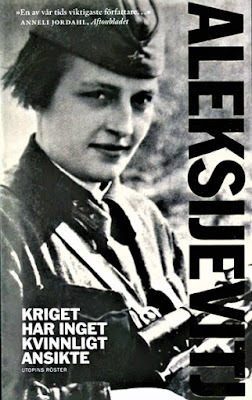 Translated by Richard Pevear and Larissa Volokhonsky. New York: Random House, 2017. У войны не женское лицо: Russian language edition originally published in 1985. The author won a Nobel Prize for literature in 2015. In addition to serving as pilots, snipers and partisan fighters, Soviet woman also served as doctors, nurses, drivers, mechanics and in many other capacities. Survivors retained memories of harrowing, brutal events that never quite went away. 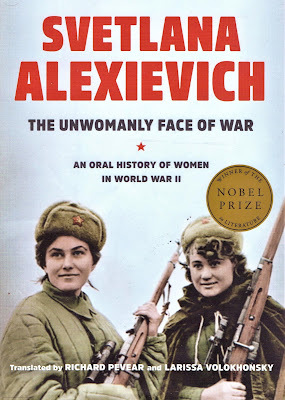 Alexievich has ensured that these people and what they lived through will not be forgotten. Wars will continue, though, remembered or not -- that fact, it seems, nothing can change. No one should ever face the violence of battle--them doing the fighting would turn away if not for them doing the plotting. "but each make their own decision.." Yep that is what kills or keeps brutality in memory. Sounds like a very valuable source. 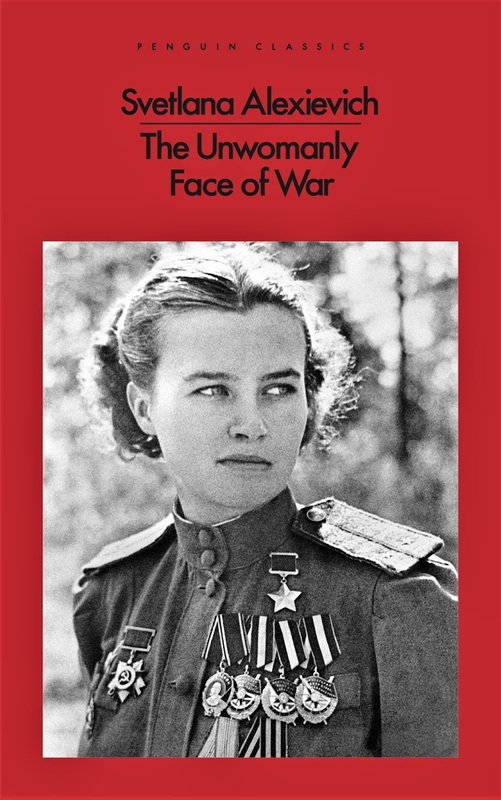 I read quite a few of the Russian bios on the war back in the 70s but they were all by men.